Tonight’s (Monday) softball game originally scheduled against Kokomo had to be cancelled so Kokomo could make up a conference game. We tried to find a replacement team but didn’t have any luck. Senior Night tomorrow at 5:15 against Rossville. The start time of the softball game against Rossville on Tuesday, May 9th has been moved to 5:15 due to transportation issues. This will also be senior night for the softball players. 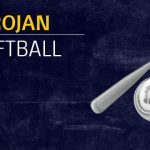 The Lady Trojans were defeated by Wes-Del in the Sectional Semi-Finals on Wednesday evening by a score of 8-2. Softball scheduled for tonight against Sheridan has been moved to Friday evening due to wet field conditions. The softball team also added a game and will play at Alexandria at 6:00 Tomorrow (Wed.) There will not be a game on Thursday against Eastbrook. Tonight’s home softball game against Wes-Del has been postponed due to weather. A make-up date has not been determined at this time.